These economical deep bed activated carbon adsorption units may be used as refillable or disposable adsorbers. Rain shields are available and condensate drains are standard. The activated carbon units are constructed of carbon steel and provided with a double epoxy/phenolic lining. All adsorption units feature specially constructed vapor distributors to permit full adsorbent utilization and peak removal efficiency. Custom distributors for high temperature applications are available upon request. Specifications and properties for these vapor phase activated carbon drums are subject to change without notice. 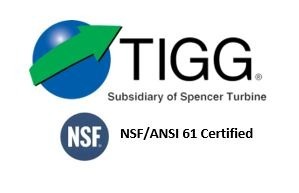 For more information about TIGG’s NIXTOX Activated Carbon Steel Drum Adsorbers, call 1-724-703-3020 or click here to contact us.